The town of Breckenridge has a week chalk-full of activities for visitors and the Breckenridge Visitor Center (GoBreck) has created a fantastic website for spectators. And so my job here is done. I am only half kidding, because it really is that good. Official City of Breckenridge USA Pro Challenge website for spectators wanting to see the race. Road Closures in Breckenridge for the USA Pro Challenge. 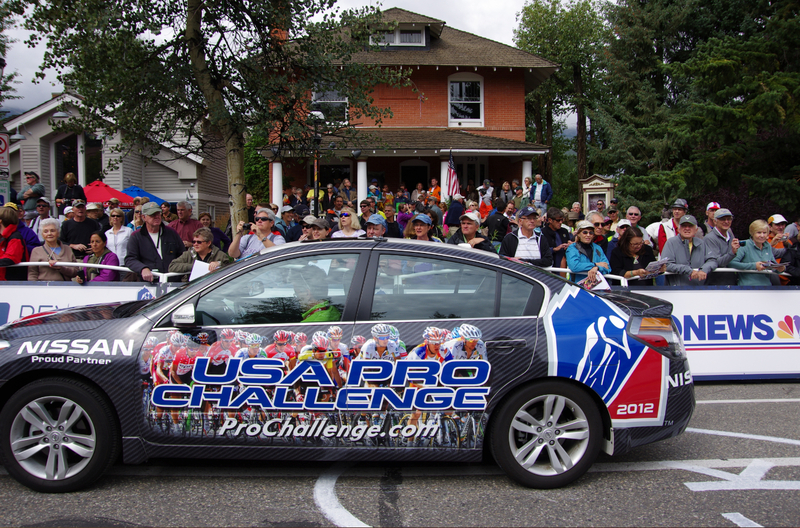 Schedule of Special Events in Breckenridge for the USA Pro Challenge. Tips of best viewing locations and when to arrive in town. 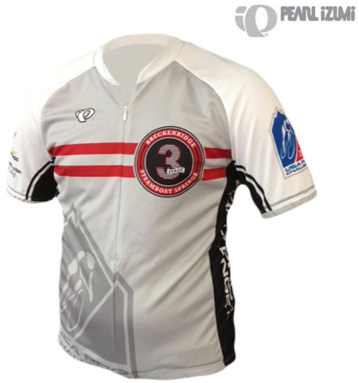 18 Local Sponsors have given their support to this race. In fact I am ready to go today, simply because this town makes me feel so welcome! I love a town that opens its arms to cyclists and especially to a pro bike race. I will be there for both the Finish of Stage 2 and the Start of Stage 3. Hoosier Pass should be lots of fun for fans. 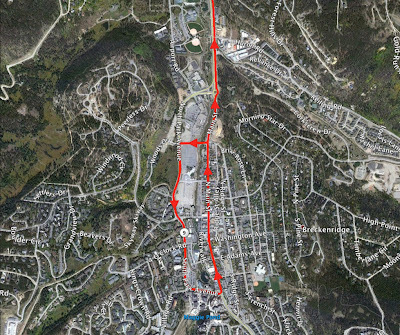 Once the riders descend into town 10-miles away, they will do a big clockwise loop around town swinging back to finish heading north along Main Street. 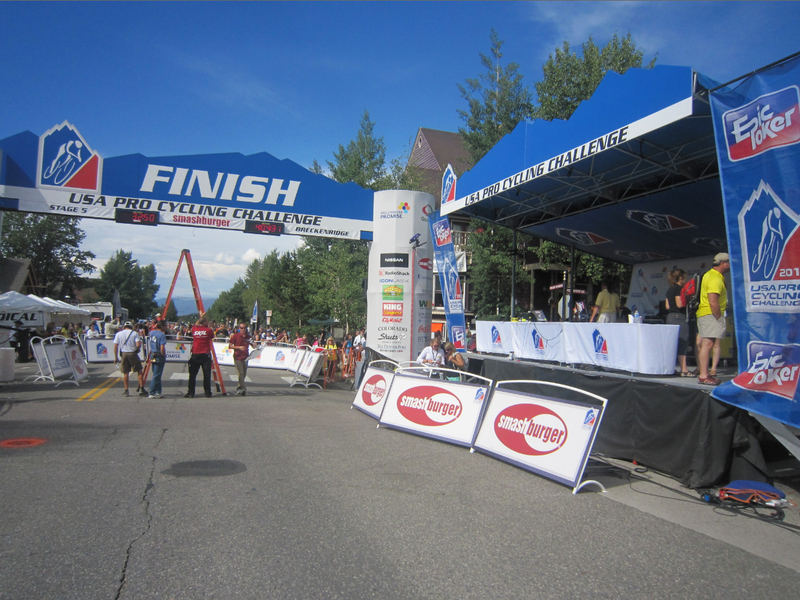 The finish is near the Blue River Plaza, at the Corner of Washington and S. Main St, The finish is expected at approximately 3:25-3:45pm. You will want to get to the area by 11:30am and get in place along the route by 1pm to avoid road closures in and around Breckenridge. 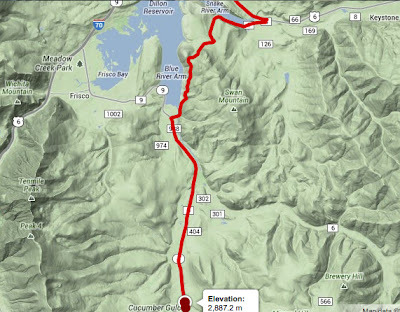 I would head up Hoosier Pass by noon to make sure you can get both around town via Park Ave. and then get to the top of the pass. Ride your bike if you can, because parking will be limited the later you go. 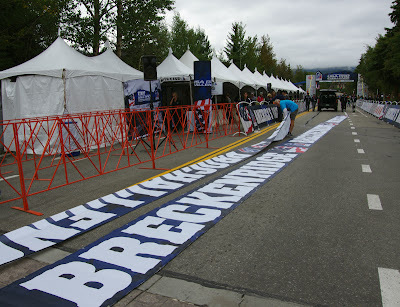 General spectator parking should be signed as you enter the town of Breckenridge, some of the lots are used for the Festival and Team Parking. No dogs are allowed at the event. The roads in and out should begin to open up by 5:00pm. 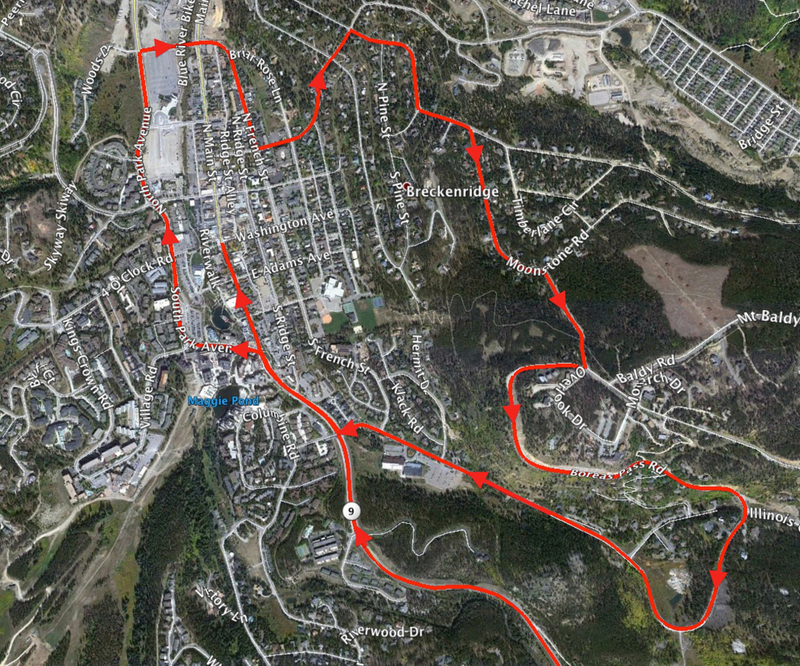 Be parked and where you want to be for the stage start by 9am in the morning. 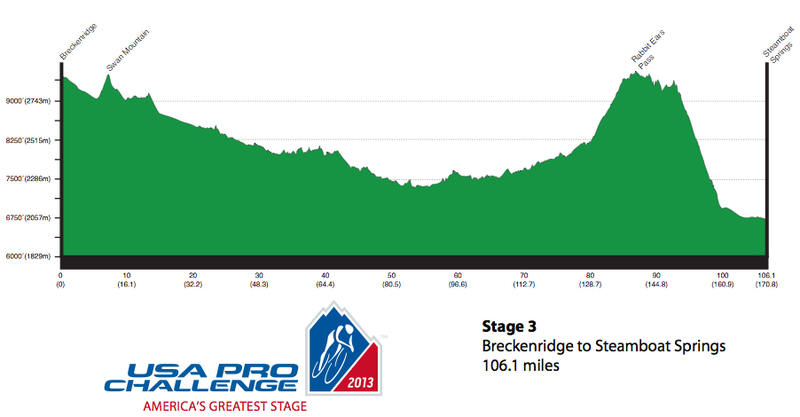 Stage 3 begins at 12:10pm on Main St, where the riders will sign-in and line up at the start line. They will do two ceremonial (neutral start) laps around town and then exit north on Hwy 9 headed straight for Swan Mountain 11-miles away. Swan Mountain Rd (the road will close at 10:00am) is a great place for cyclists to ride out and have some fun. 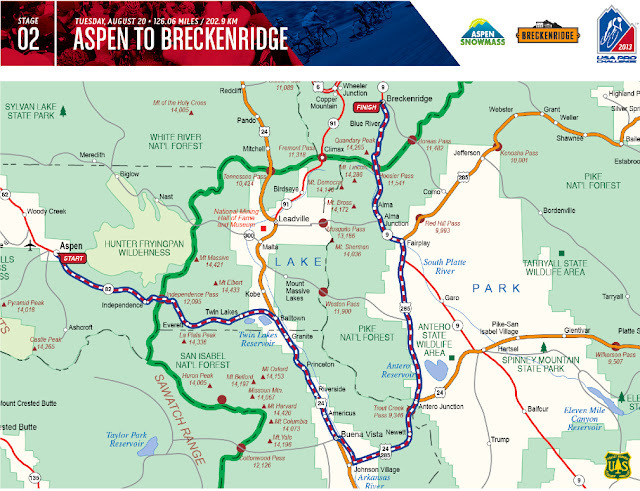 The roads in and out of Breckenridge should begin to open up by 1:00pm. 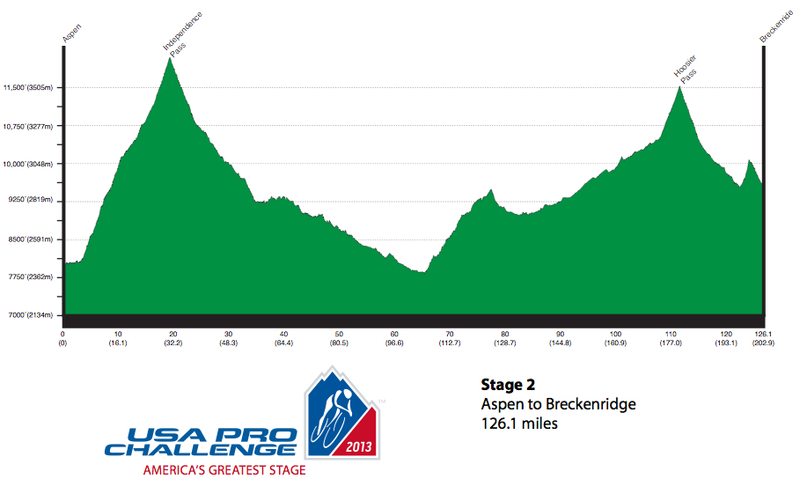 The last kms of Stage 2 into Breckenridge. 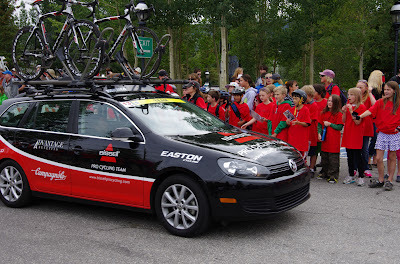 Pedal Dancer® comments: Independence Pass all over again, the riders will arrive so quickly at the summit, fans will barely have time to dress in costume and start their song and dance. This is a hit the ground climbing kind of stage. Look for some strong Continental team riders to start strong. 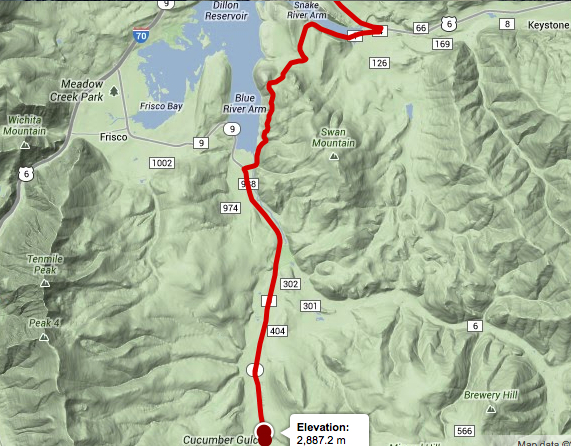 They will be flying down Independence Pass and into Buena Vista. The stretch of road between Buena Vista and Fairplay is not a road I would like to ride (again) on a bike. 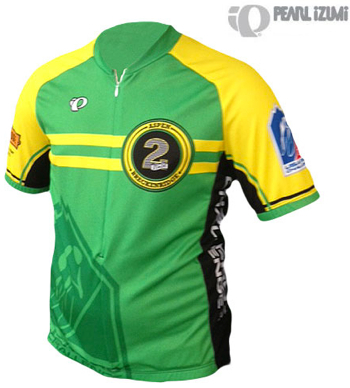 A big road with fast traffic, it is not the most scenic for amateur cyclists, the pros however will cover this section quickly with the aid of rolling road closures. 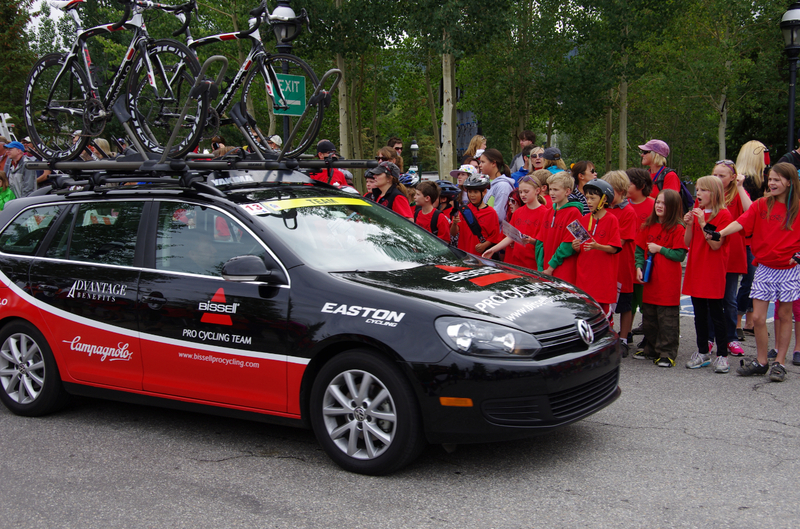 The final climb of the day over Hoosier Pass will see lots of fans and establish the race leaders for the week ahead. Breckenridge will be full out fun for fans. 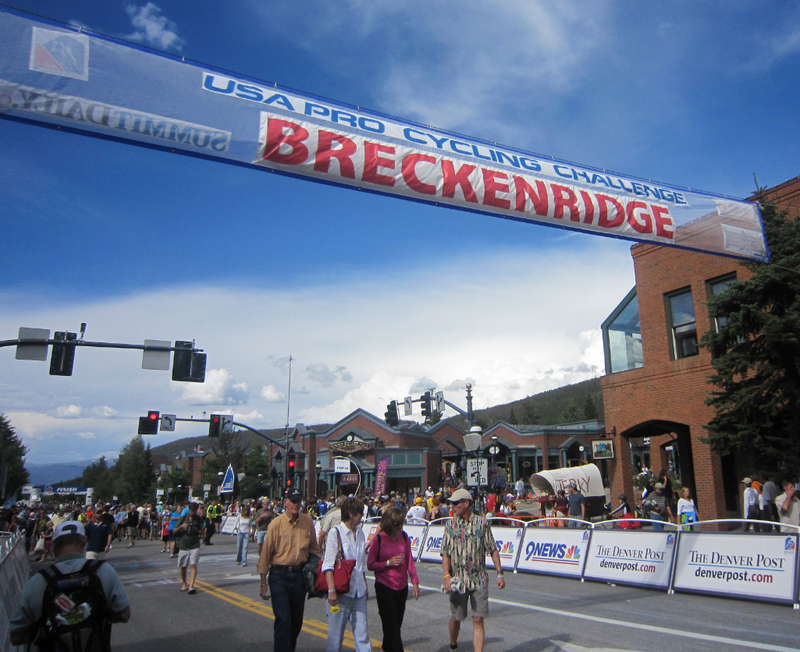 These stages are also mid-week which could mean less crowds, but every year Breckenridge has been packed with fans. 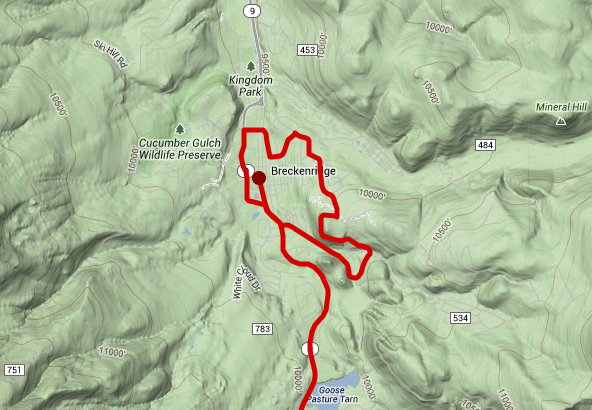 Route from Breckenridge over Swan Mountain and left to Dillon, before taking Hwy 9 to Steamboat. Pedal Dancer® comments: Morning viewing near the team buses and start line in Breckenridge should be great, with plenty of your favorite rider sightings. Swan Mountain is an easy 11-mile bike ride outside of town and should have a fun grouping of fans waiting on top for the riders to pass. 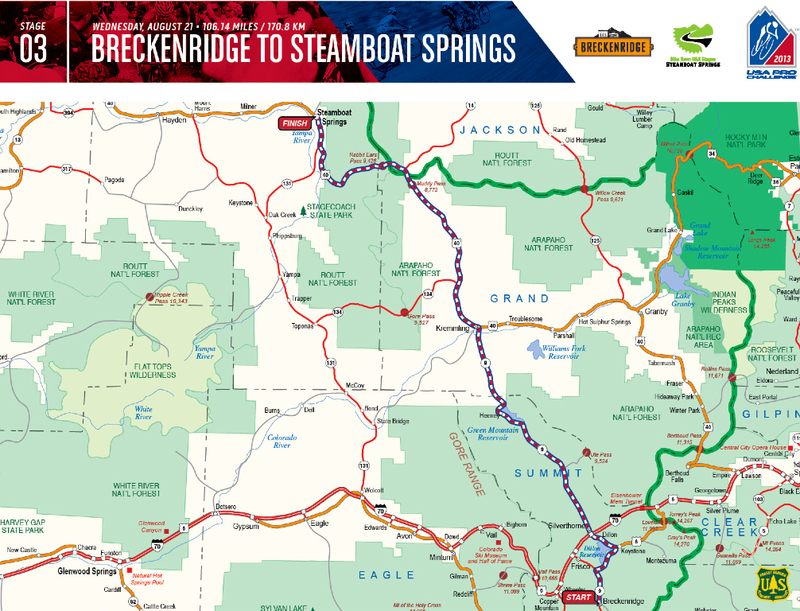 Rabbit Ears Pass, 21-miles southeast of Steamboat Springs, or the VIP tent in Steamboat, will be the places to be on race day. The race today will be about team work, chasing down any breakaways and getting the lighter faster sprinters over the final climb and into position to sprint for the finish line. Look for a clean, fast, sprint finish into Steamboat Springs. 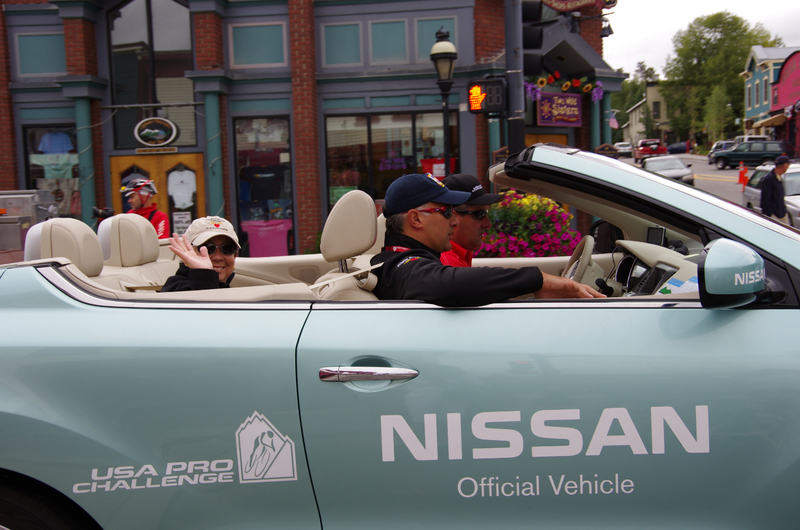 Nissan is the sponsor of Stage 3 - so look for some good swag! 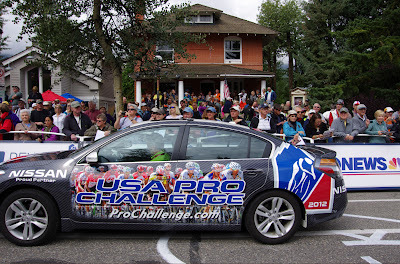 Other PEDAL DANCER FAN GUIDES - USA Pro Challenge race day planning, travel guides, city special events, route maps and profiles, road closures, and stage start and finish times.